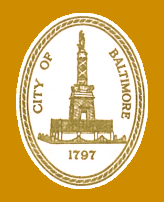 The mission of the Department of Audits is to provide useful financial statements, reports and recommendations through independent audit consultative services which will help establish improved accountability to the citizens of Baltimore. This supports the Comptroller's mission of assuring the City is being managed effectively and efficiently. The principal objectives of the Department of Audits are to perform audits of municipal agencies and activities, and to audit federal and other specific grant programs conducted or administered by the City. The majority of the Department's workload is mandated by Article V of the City Charter, codes or ordinances, by state or federal laws, or by Board of Estimates direction. The Department of Audits, in fulfilling its mission, provides a variety of auditing services to City government. Audit assignments are conducted in accordance with Government Auditing Standards. These standards require strict due diligence in conducting audits, specially-trained qualified staff, independence, adequate supervision and planning of audit work, reporting of audit results and periodic reviews of the audit organization by outside professionals. The Department uses a risk-based approach in selecting City agency programs and activities to audit. The following briefly describes the scope of work performed. Financial and Financial-related Audits: Financial and financial-related audits assist the Board of Estimates and other users who rely on financial statements and reports prepared by the City and its agencies. Financial and financial-related audits examine various aspects of City agencies’ financial operations to determine whether financial reports are presented in accordance with established criteria and whether the agencies have complied with material compliance requirements. Internal Control Reviews: Internal control reviews provide recommendations to the Board of Estimates and City management to improve poorly designed or ineffective internal control systems. Internal control reviews determine whether controls over financial operations and safeguarding of assets are suitably designed and functioning to achieve control objectives. While internal controls are reviewed routinely as part of audits of agency financial statements, in-depth reviews are performed at various levels within City agencies, programs and activities. Performance audits provide the Board of Estimates and City management with independent analysis, evaluation, and recommendations to improve the performance of City agencies. Performance audits are independent examinations for the purpose of reporting on the extent to which an agency is economically, efficiently, and effectively carrying out its responsibilities within specific programs or activities. The Department of Audits identifies potential fraud indicators and conducts research into issues of concern. The Department routinely investigates allegations of abuses of City resources, such as irregularities involving employee attendance or equipment usage. In some cases, the resulting investigation serves as the basis for a more in-depth examination of the area in question. Pre-audit advisory services assist the Board of Estimates in making informed decisions about contracts and other procurements prior to their execution. The Department of Audits is responsible for reviewing various contracts, change orders and proposals submitted by City agencies to the Board of Estimates to ensure compliance with City policies. Much of the benefit from audit work is not in the findings reported or the recommendations made, but in their effective resolution. The Department conducts follow-up reviews to determine if reported audit recommendations are properly implemented by City agencies. Follow-up reports are issued to the Board of Estimates disclosing the status of implementation of audit recommendations. The Department of Audits plans to perform the following audits and non-audit services for 2018. 8:30 am - 4:30 pm, Mon. - Fri.